RICHMOND, VA (WTVR) -- University of Virginia students are grieving the death of classmate and friend, Otto Warmbier. Warmbier died Monday afternoon in his hometown of Cincinnati, Ohio, days after being released by North Korea in a comatose state. The 22-year-old student had been sentenced to 15 years of hard labor for pulling down a propaganda poster in a hotel while visiting North Korea in January 2016. Warmbier was held for more than 17 months before he was medically evacuated from North Korea last week. The North Korean government claimed the young man suffered from botulism and had taken a sleeping pill that lead to a coma. Doctors at the University of Cincinnati said before he died, Warmbier was in a state of "unresponsive wakefulness," but could not understand language, walk or talk. They also said he had lost much of his brain tissue due to Cardiopulmonary Arrest. UVa. student and CBS 6 intern, Caroline Coleburn, knew Warmbier from frequent social gatherings between her sorority and his fraternity at the university. She recalled his passion for life. "He kind of embodied everything that any boy would want to be. He was smart, outgoing, fun, friendly, and I think anyone who knew him, especially those who knew him better than me, would agree with that," Coleburn said. Warmbier was also the longtime boyfriend of Coleburn's close friend, Alex Vagonis. "She told me today that she wanted everyone to know he was someone who loved life, who wanted to be a friend to everyone. He was someone who never wanted to stop his education. He was always curious to learn more," explained Coleburn. 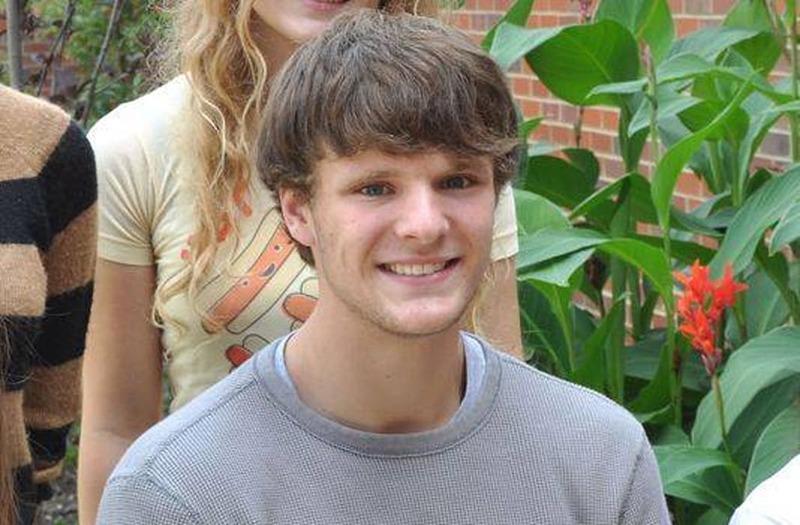 It was that curiosity, Coleburn said, that motivated Warmbier to learn more about the culture of North Korea. The outgoing student was an Echols scholar at the University and traveled to the country with a Chinese-based group called the Young Pioneers Tours. Warmbier would have graduated this past spring. His classmates wore stickers on their graduation caps that read, #FREEOTTO, in his absence. While friends said they always felt his loss so many miles away, they never imagined his death would be the outcome. "They say bad things happen to good people... I think that's what happened with Otto," said Coleburn.Warmbier's family released a statement, saying "Unfortunately, the awful, torturous mistreatment our son received at the hands of the North Koreans ensured that no other outcome was possible beyond the sad one we experienced today." President Donald Trump also commented on Warmbier's passing earlier today at the White House stating, "At least we got him home to be with his family. They were so happy to see him. Brutal regime." At least three Americans and one Canadian are currently being held in North Korea. Former US politician and diplomat Bill Richardson offered last week to visit North Korea to secure their release.